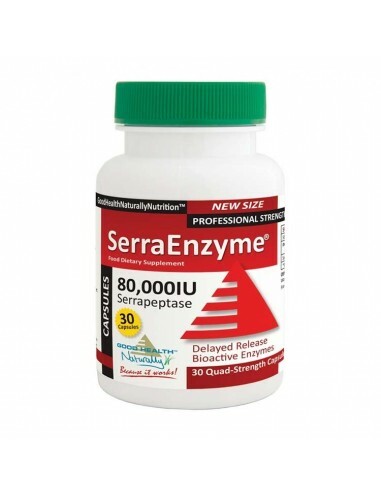 Serrapeptase 80,000IU has been used throughout the past 30 years to help support a wide variety of health conditions. Originally derived from the friendly bacteria living within the gut of the silkworm, Serrapeptase is now synthetically manufactured within a laboratory. 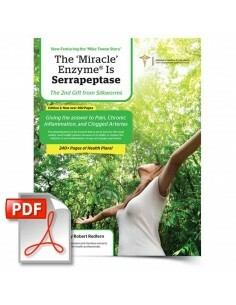 There are thousands of testimonials explaining the benefits of this essential supplement. 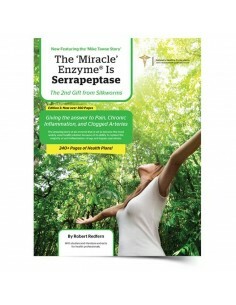 Many doctors use Serrapeptase for its anti-inflammatory benefits. 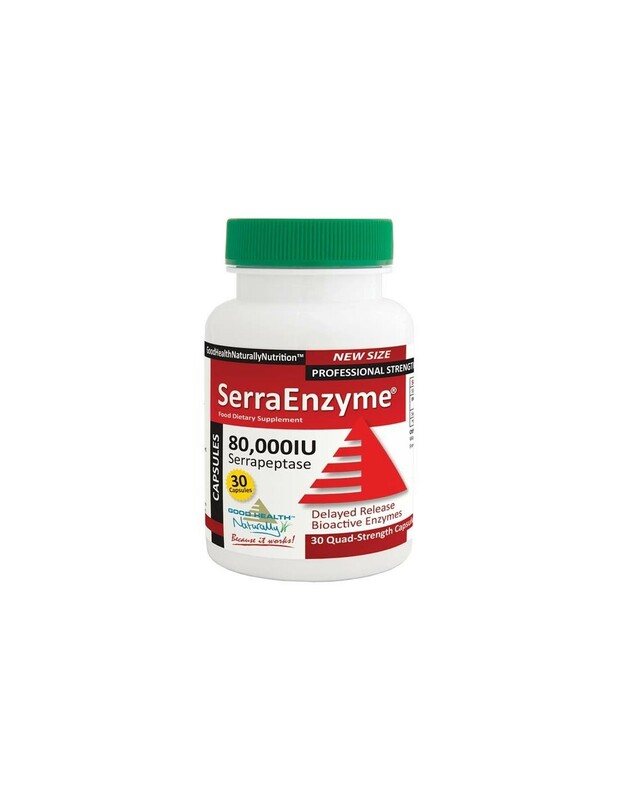 Delayed release capsules are designed to be taken on an empty stomach to ensure they are activated in the small intestine rather than in the stomach. 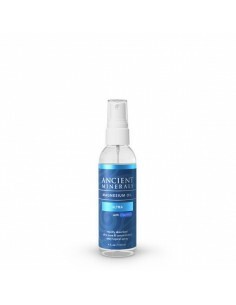 This fabulous high dosage formula provides a balanced strength of 80,000IU delayed release capsules, plus trace minerals for better enzyme utilization and the addition of of MSM (regularly used in naturopathic practice for normal lung, joint, and connective tissue health). Other Ingredients: Microcrystalline Cellulose, Hypromellose, Water, Gellan Gum (delayed release capsule) Free of Phthalates.